New vegetarian fast food restaurant from New York opening two restaurants in central London (UK) soon. Vegan options clearly marked. Bald zwei neue vegetarische Fast-Food Restaurants in London. 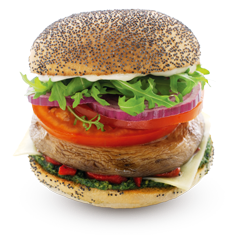 Vegane Gerichte/Burger sind klar gekennzeichnet.